Last night I spent about an hour tearing the tint off of the back glass in the my car, as it had started stripping. The Lord began asked if I had realized how much brighter the car had gotten as I got closer to completion. It was amazing, because even though it was at night the car had definitely gotten so much brighter, by removing the veil; I’m sorry the tint😉. The Lord revealed to me just how the enemy uses tint (a veil, mind-blinding spirits) just like a pair of sunglasses, to prevent those who are in a sinful state from seeing God in His awesome splendor and majesty, lest we see who He really is and serve Him. But even if our gospel is [in some sense] hidden [behind a veil], it is hidden [only] to those who are perishing; among them the god of this world [Satan] has blinded the minds of the unbelieving to prevent them from seeing the illuminating light of the gospel of the glory of Christ, who is the image of God. The sinful nature off our flesh which has only hatred for the things of God, coupled with the veil that has been pulled over our eyes are two devices that are largely the reason why so much people seem to find comfort in sin, see God’s goodness to some extent, but still continue to live sinfully. The Lord will remove the veil from each of our eyes but He requires us to act obediently in faith believing and accept Jesus’ forgiveness of your sins and receive Him as your Lord & Savior. If He removes the veil first, then your choice to accept Him wouldn’t be on made in faith but because you would be able to see clearly the evilness of sin and the glory of God. My prayer today is like Moses you take that first step in faith, he stretched forth his rod and the red sea parted. If he didn’t, he and all of the Israelites would have died by Pharaoh and his army. Our step is one that is tied to very serious implications to life in the hereafter as well. Time it’s one the most powerful resources to show some somethings worth. It’s like when it comes to time, people are rarely late for work. Isn’t it funny we always have time for school or work, but some have no time for church. The thing with time is that it tells where our heart’s treasure lays. The place where you spend your time mostly is the god that has your praise. So, I say I love the Lord but in a given week, I can barely give Him a Sunday or Saturdays. Yet, our time for other things are never compromised. LORD please let Your truth saturate! Service to God or money many make money their cross. Who said ‘time is money’ that phrase is so funny; in time and money that person got lost. Time is the precious commodity given to us by the Ultimate Boss. Time is the only thing that keeps our hearts beating, at an unknown time that ends. Ignoring this time could be the last time; choose wisely where you wish to spread your bed. As Christians we learn from a Savior who loved us all while we were still sinners. Jesus’ love is one that reaches out to every man, woman and child. It matters not the sins we commit, His love calls for each and every one of us to accept His love and purpose for us. Although God’s love is from everlasting to everlasting, we also know that He is holy and has sincere hatred against sin. Imagine His hatred: He sent His Son for the core purpose of redeeming and cleansing us from all sins. Thus, His Son was invested for the return of our holiness. When we flirt, dabble and indulge in sin, we break His heart and show hatred towards God. So he loves us no matter who we are or what we have done, but he abhors sin and our sinfulness with a righteous jealousy. Imagine you had dedicated your life to loving and caring for someone. When you helped them out, they would never be there for you. When you had made every effort for them to have peace, joy and security they would never see the sacrifice as anything worth consideration. When you stayed faithful, they cheated. Your jokes were never funny enough, but the other person’s was. Your love was seeing as pathetic and weak but they preferred a more dangerous and abusive love that left them victimized. You only had the best of self-sacrificial love to share, but they preferred the love of someone you knew, was evil in its purest of forms. Would you not warn them about the dangers of the other person? Would you not speak to their value system and self-worth and let them know they deserve better than the abuse? If you had limitless power, would you not want to rend heaven and earth to secure their heart and rebuke their pain? This is but a snippet, snapshot, screenshot in the eyes of a God whose feelings are a million times over than we may have the capacity to feel. Imagine how His heart breaks when we play around with sin. 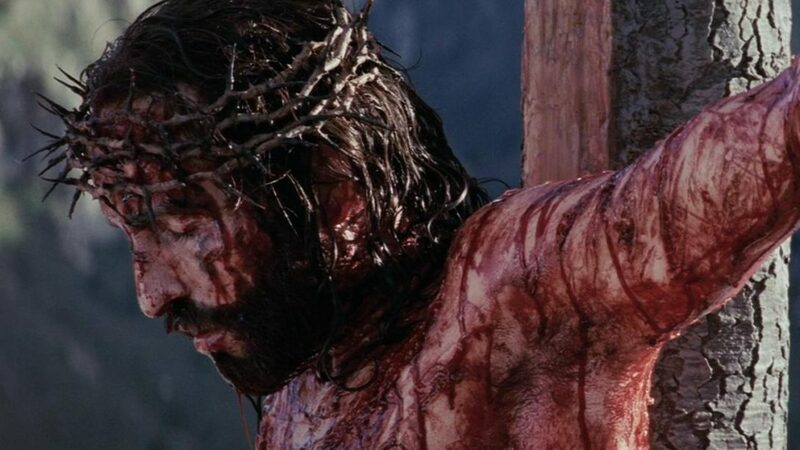 Imagine His pain when the things He died for us to be free from, we nurture, protect and call it good. The same devil He gave us the power to defeat, is the one we keep closest to our hearts; while rejecting Him. LORD JESUS, I know I have been unfaithful and ungrateful to You in more ways than I can count, consider or remember. I ask you to forgive me and I invite You in my heart today. Help me to love You the way You love me. Help me to love myself the way You love me. Help me to love my enemies the way You love me. I pray these things in no other name, but the In the Name of Jesus Christ. AMEN!! !